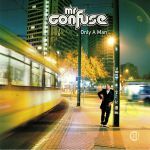 Review: Hannover funk hero Mr Confuse continues his freakery with this limited 45": "Fast Lane" slaps the Hammonds so hard you begin to consider setting up a welfare charity for funk's most important key-based instrument. "The Turnaround" sees Mr Confuse turning his slap-happy focus to the bongos as a conga rattles hard beneath another insistent key-line. Essential modern funk.